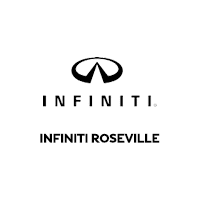 INFINITI Roseville is now part of The ForAnyAuto Group and is happy to open its doors to customers from surrounding cities as well. We’re here to provide you the highest level of customer service for all your automotive needs. We want you to use our website as a resource to answer any questions you may have about your next new or pre-owned vehicle. Our dealership is dedicated to serving each of our customers for all sales, service or parts needs. If you need help finding us from the Roseville or Citrus Heights and Folsom area, check out our hours and directions page. We look forward to helping you into the vehicle you have been dreaming of. If you don’t find what you need on our site, just ask and we will be happy to help! Sacramento and Folsom INFINITI shoppers can contact us today to schedule an appointment to test-drive their next new or certified pre-owned vehicle.